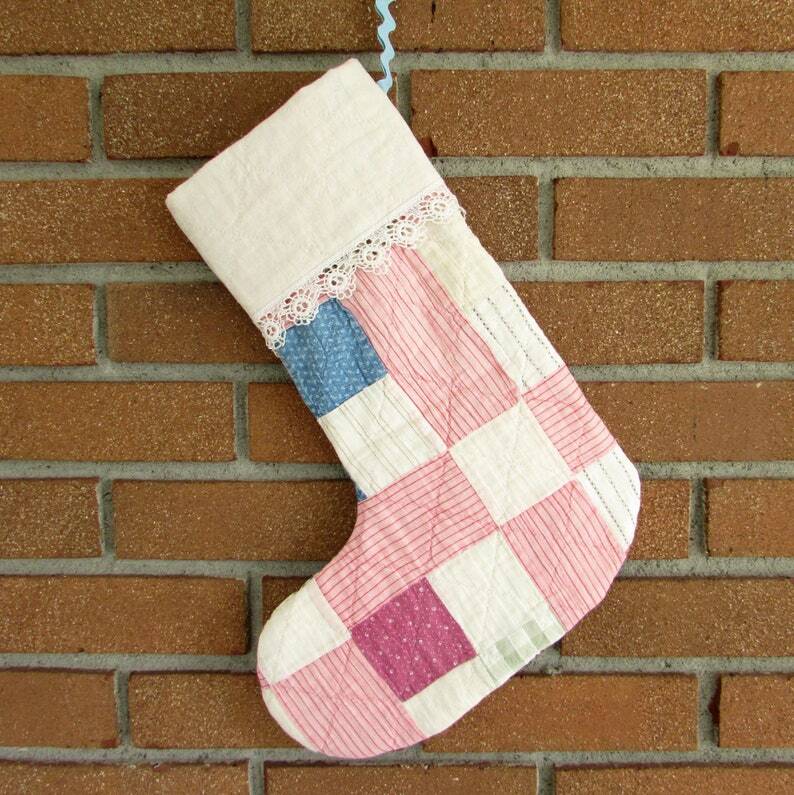 Beautiful shabby Christmas stocking crafted from a rescued vintage quilt. This quilt was on its last legs -- I took the good bits and made a stocking! It has a cuff trimmed with reclaimed vintage lace, and a blue rick rack loop for hanging completes the look. Stocking measures 15" top to heel, and 6" across the opening. It has the quilt pattern on both sides, so it can be hung with the toe pointing either left or right! 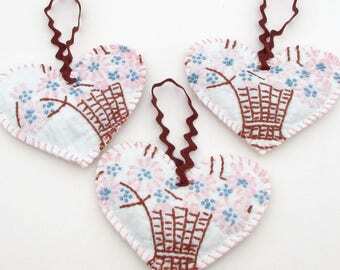 These make great Christmas decorations for your house, or fill it up with goodies and give it to a friend. It would also make a lovely heirloom gift for a new baby. You will receive the exact stocking pictured here. If you would like more than one stocking made from this quilt, please check my shop! Please take careful note of the photos. These stockings are made from vintage quilts, and although I have avoided any major stains or holes, the stocking may have small spots, popped seams, or hand-stitched repairs. I have tried to represent these accurately in the photos.